In an effort to become a broader leisure business in December 2016 Ryanair, the biggest low cost airline in EU, started to bundle flights, car hire and hotel rooms. This poses a great window of opportunity to those hotels who spot and react on it first. So here is what’s in there for your hotel. 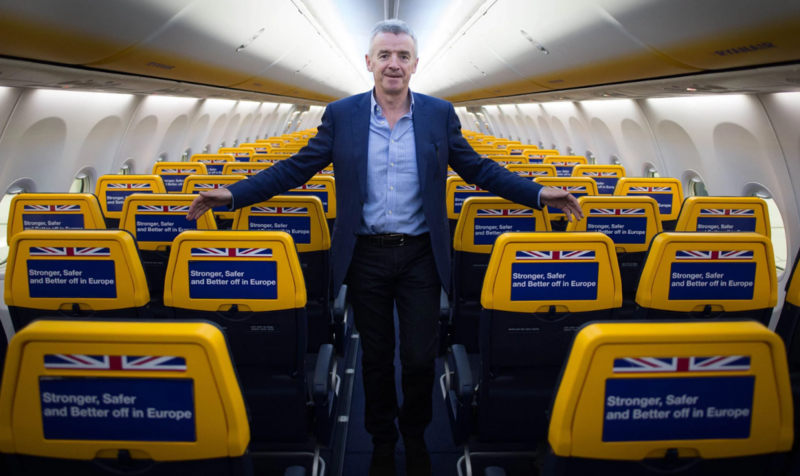 Last year, chief executive Michael O’Leary said he had a vision of “free air fares” in future, with profits made from growing other purchases from captive customers. In fact, an increasing proportion of Ryanair’s revenues is streaming from ancillary services, using data on its customers registered on MyRyanair. As well as package holidays, Ryanair is also considering offering events tickets, restaurant bookings and other travel-related services in the future. The company claims to undercut competitors by offering rooms at 330,000 hotels across Europe with the cheapest flight seats. The fact is that Ryanair’s big steps into travel may mean a lot to your bottom line. The good news is that you don’t need to do anything special to secure your place in – it is likely your hotel is already listed on Ryanair Holidays through Ryanair’s inventory partnership with Spanish tour operator Logitravel and accommodation provider World2Meet, offering 3- to 5-star hotels throughout the Mediterranean and European cities. Maybe using the proper channel manager will help you optimize your price strategy. What you can and should do however is optimize where and how your hotel appears into search results by (strangely enough!) optimizing your HolidayCheck.de ratings. Yes, Ryanair uses your ratings on HolidayCheck.de to rank your hotel! So what’s in there for me? This poses a great window of opportunity to those who spot and react on it. 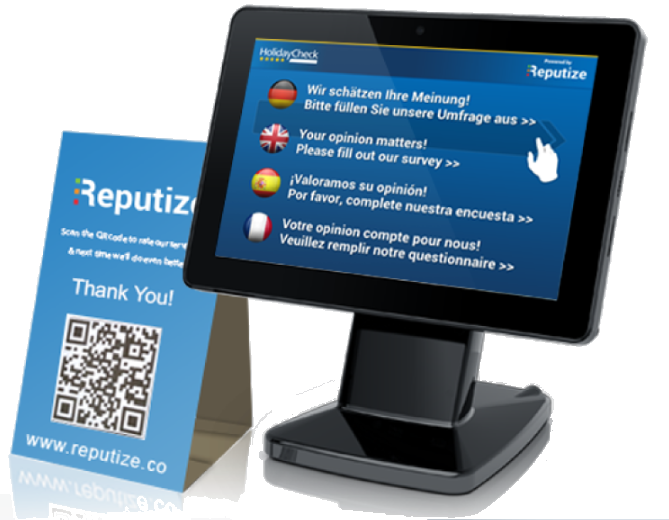 So simply because it is easy to control the process – step number one on your strategy list should be to optimize your reputation on HolidayCheck and Reputize has the right tools for this. And if you need proof that it works – here are examples. 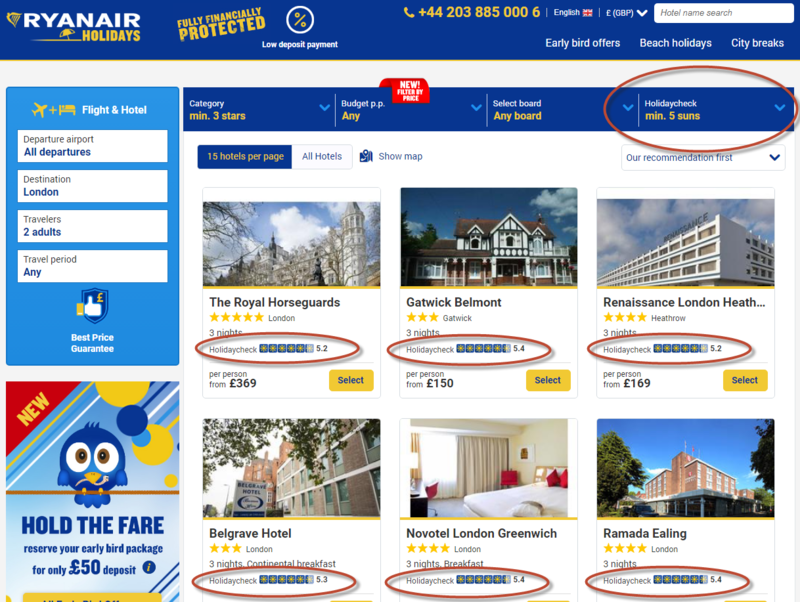 What can I do so my hotel gets more eyeballs and converts better with Ryanair room buyers? The good news is that securing a higher position in the “popularity” lists of the main travel portals and tour operators is a job that very much resembles SEO back to year 2000 – at that time Google was “stupid” and all it took to top the results was a little effort of link and keyword building. In fact the current state of search listing technology of major travel portals and tour operators is not in a much different state. Right now simply having more guest reviews will likely take you up the offers list. Because, as simple as it is, more reviews means your offer is popular. And if you are “lucky enough” to have better reviews – this can do miracles for you. There are a three simple rules, which if you build your strategy around, will bring you value quickly and these are – 1.) more reviews are better than less reviews; 2.) recent reviews are better than older ones; and 3.) positive reviews are better than negative reviews. Said simply a constant inflow of guest reviews (preferably good ones) will secure more eyeballs for your offer. For more information please read this read this blog post “More Reviews = Better Visibility on HolidayCheck“. 1.) Ask your guests to write a review on HolidayCheck when they return home. Give a small gift during checkout or send a thank you email with a kind request for reviewing your hotel. In turn, worth mentioning, HolidayCheck motivates the users for writing a review with a €100 or €50 discount voucher on a next purchase. Additionally review writers can requests loyalty awards including 200 miles from AirBerlin’s TobBonus, 150 miles from Lufthansa’s Miles & More and 100 miles from Eurowings Boomerang Club (as of March 2017). Email sending can be automated with an automatic integration between the reputation platform and your PMS. 2.) Make it easy for guests to write a review during their stay. Two options exist – the so-called “HolidayCheck Day” and touch-screen terminals. 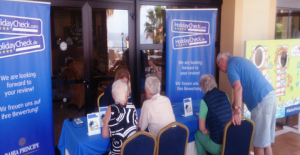 You can arrange a special event – usually called “HolidayCheck Day” at your hotel where you can use iPads and PCs to invite guests to write a review. This event requires a special arrangement – you need to announce the event in advance and possibly thank your guests with a little gift (cocktail, fruit basket, raffle, room upgrade, etc). A “HolidayCheck Day” is only available under a special arrangement with HolidayCheck. To collect reviews at all times while the guests are still at your property you can place Reputize-certified touch-screen terminals. Previous Previous post: Why your hotel should care about its HolidayCheck rating?